Dunes in the shapes of Ts and Vs. They also look like funnel shapes. 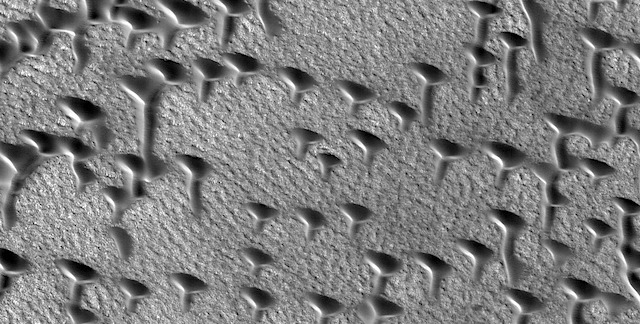 This entry was posted in Reports and tagged Beautiful Mars, dunes, High Resolution Imaging Science Experiment, HiRISE, Mars Reconnaissance Orbiter, MRO, NASA, north polar sand sea, sand dunes, University of Arizona. Bookmark the permalink.